Anne Arundel County Maryland is home to the State capital, Annapolis. There are thousands of criminal cases in their court system every year. If you’ve been charged with a crime in Anne Arundel, Maryland, then you will want the best possible defense. The criminal defense lawyers with Rice Law LLC are experienced in defending the rights of their clients in Anne Arundel County, Md. Attorney Randolph Rice is a former Assistant State’s Attorney, recognized by Super Lawyers as a Maryland Rising Star, Avvo 10 out of 10 Superb ranked and a Lead Counsel in Criminal Defense. That should make you comfortable knowing that you have so much experience fighting for you in the Courtroom. 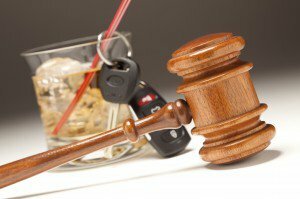 DUI / DWI / BWI Defense Attorneys – Anne Arundel County Md. Drunk driving has been in the rise in the United States and the laws in Maryland have only gotten tougher. With so many bars and restaurants in Anne Arundel County, Md., it is a common occurrence that people get behind the wheel after a few too many. It’s not illegal to drink and drive in Maryland, but it is illegal to drink too much and drive. And if that happens and you are unfortunate enough to be caught, then you want a lawyer that will look for the loopholes in the State’s case. 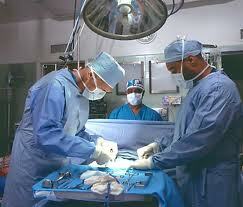 You want a lawyer that will prepare your case for trial and prepare you for the court date. We have handled thousands of DUI, DWI, and BUI (boating under the influence) cases in and around Anne Arundel County, including Annapolis and Glen Burnie, let our experience go to work for you. Traffic tickets can range from speeding or stop sign violation to driving while suspended or driving without a license. 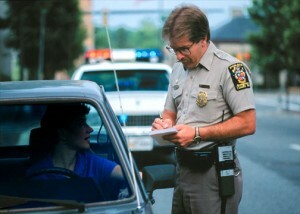 If you are stopped and ticketed by the police, then you need the guidance of a traffic ticket attorney in Baltimore, Md. Traffic tickets aren’t as simple as paying the ticket and going on your way. There are collateral consequences that may present themselves from the MVA. Not all traffic tickets can result in a fine. There are a number of violations in Maryland that carry the potential for jail time including, driving while suspended, driving while revoked, driving while canceled and driving while refused. You can also face jail time for driving without a license or driving without insurance. Count on the lawyers with Randolph Rice to protect your freedom and your driving privilege in Maryland. Medical mistakes happen, and with so many hospitals and doctors in and around Anne Arundel County, the likelihood of a mistake is high. If you’ve been injured from a mistake at one of the area health centers or any of of the other facilities, then call us today (410) 694-7291! Wills & Estates Attorney Anne Arundel County Md. Planning for the future can be difficult because no one wants to think about death. Or, when a loved on dies and you have to deal with the administrative aspect of their death, that is the last worry you want. That’s why you need a lawyer that has the compassion to handle the estate of your loved one. Don’t wait until it’s too late, have your wills and life planning documents drafted today. Call the office to schedule a meeting to discuss how we can help, and put yourself at ease that your family will be taken care of if you pass.